Mr. Carl C. Icahn is the Chief Executive Officer at Icahn Capital LP. He also serves as the Chief Executive Officer at Icahn Management LP. Mr. Icahn is the Chairman and President at Icahn Associates Corp. He is currently employed at Beckton Corp. From August 8, 2007 until December 31, 2007, Mr. Icahn served as the Chief Executive Officer at New Icahn Management. He was the sole member at CCI Onshore LLC and CCI Offshore LLC Mr. Icahn brings to his role as the Chairman of the Board his significant business experience and leadership role as director in various companies as discussed above, including certain of our subsidiaries. In addition, Mr. Icahn is uniquely qualified based on his historical background for creating value in companies across multiple industries. Mr. Icahn has proven to be a successful investor over the past 40 years. He is the Chairman of the Board of Icahn Enterprises GP since 1990. Mr. Icahn has been the Chairman of the board and a Director of XO Holdings, Inc. since February 2006, and of its predecessor from January 2003 to February 2006. Mr. Icahn became a Director of Federal-Mogul, and, since January 2008, has been the Chairman of the board of Federal-Mogul. Since March 2010, Mr. Icahn has served as the Chairman of the board and a Director of Tropicana Entertainment Inc. He has served as a Director of West Point International Inc. since October 2005. Since 1984, Mr. Icahn has also served as the Chairman of the Board and a Director of Starfire Holding Corporation. 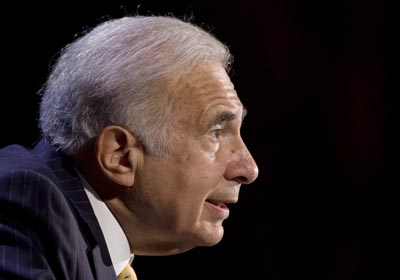 He was also the Chairman of the Board and President of Icahn & Co., Inc. from 1968 to 2005. From 1994, Mr. Icahn has served as the Chairman of the board and as a Director of American Railcar Industries, Inc. From October 1998 through May 2004, he was the President and a Director of Stratosphere Corporation. From September 2000 to February 2007, Mr. Icahn served as the Chairman of the board of GB Holdings, Inc. From July 1993 to July 2010, he served as a Director of Cadus Corporation. From May 2005 through January 2010, Mr. Icahn was a Director of Blockbuster Inc. From September 2006 through November 21, 2008, he was a Director of ImClone Systems Incorporated, and from October 2006 through November 21, 2008, he was the Chairman of the board of ImClone. From August 2007 to September 2009, Mr. Icahn was a Director of WCI Communities, Inc. and, from September 2007 through September 3, 2009, was the Chairman of the board of WCI Communities. In December 2007, From April 2008 through January 21, 2010 he was a Director of Motricity, Inc. From August 2008 to October 23, 2009, Mr. Icahn was a Director of Yahoo! Inc. He received a B.A. from Princeton University.